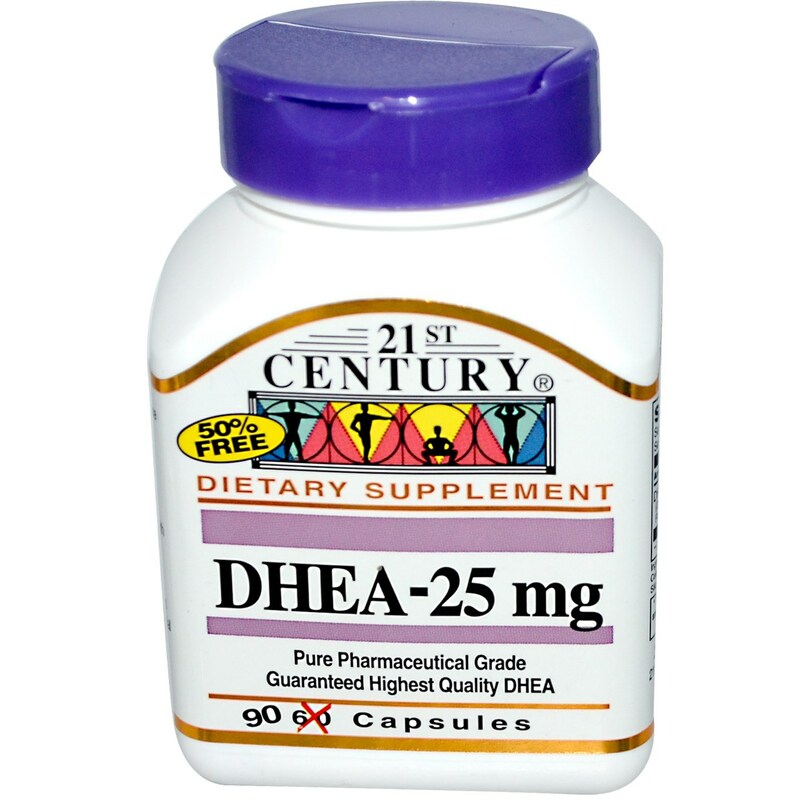 DHEA from 21st Century is produced by the adrenal gland in the body. Notes: Unconditionally guaranteed for purity, freshness and label potency. No added sugar, salt, yeast, preservatives, artificial flavors or colors. Recommended Use: Take one (1) or two (2) capsules daily, one in the morning and one in the afternoon, or as directed by your healthcare provider. Do not exceed recommended dosage. Not for use by those under the age of 18. 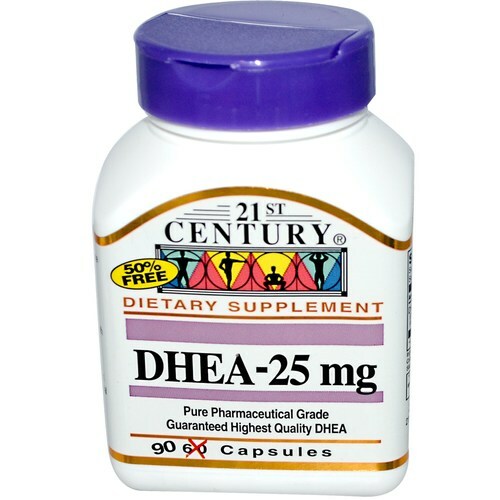 The customer reviews posted below are based on individual consumer experiences and may NOT necessarily represent what expected results will be from using or taking 21st Century DHEA - 25 mg - 90 capsules. These results may not be typical and you should not necessarily expect to receive the same results. Actual results may vary. super recommend, because the effects are great, had never consumed this brand, now I only buy it. Great. Supplement 1 year ago DHEA desta marca. I got a better answer. Excellent product! It's improving my hormone levels since I'm 40 and I'm already dropping testosterone levels and this has caused me loss of muscle mass and great hair loss beyond depression. I've been using Dhea for 3 months and the results are amazing, my hair is growing very strong. The only inconvenience is the excess of facial oils, but for those with dry skin is perfect. About that brand, I researched a lot and discovered that it is one of the tops. I'll keep taking it and super recommend it. Great quality product with super fair price. With the arrival of the age the body decreases the production of DHEA and for that reason it becomes so important its replacement. 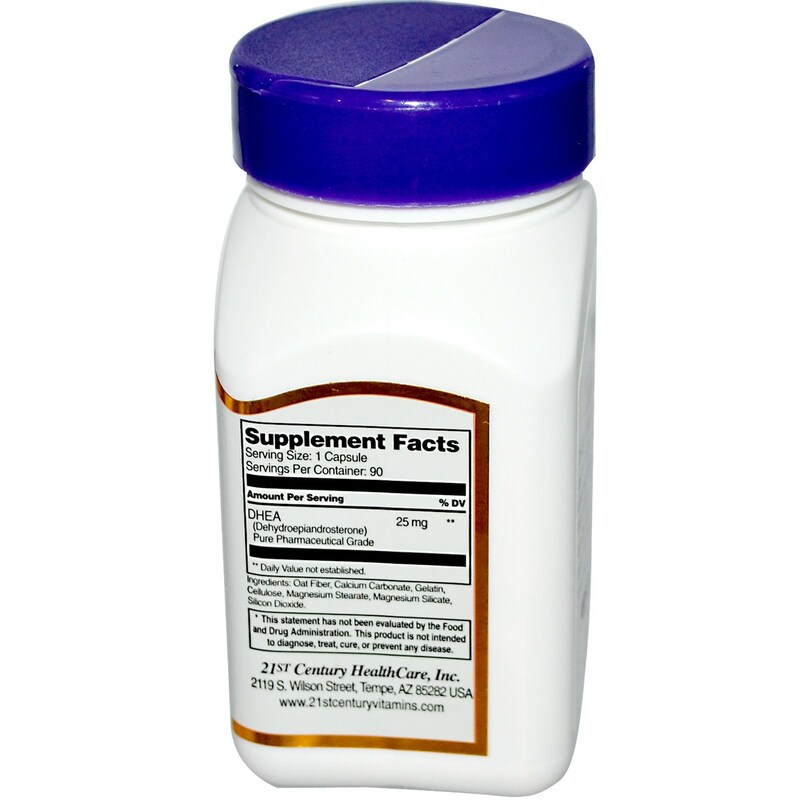 I have been in use for a few months now and have greatly increased physical and mental disposition, as well as immunity. Natural hormone that helps you have quieter nights sleep. Melatonin helped my mother to stop with red tape to sleep. Excellent - DHEA of energy in all forms and I found that my skin also got better. I was more disposed. I highly recommend it. I always buy and I will buy again.